The Dean shall provide newly-hired faculty eligible for promotion a copy of the appropriate unit and school procedures and criteria for promotion. The Dean is responsible for assuring that each faculty member receives a written copy of any evaluation in which progress toward promotion is documented. 1. Approved school and unit procedures and criteria shall be used in making promotion decisions. 2. Responsibility for conducting the initial evaluation of candidates for promotion shall rest with either all tenured faculty in the unit or tenured faculty in the unit who hold rank at or above the rank for which the candidate is being considered. Promotion shall normally be granted only upon the positive recommendation of the unit in which the faculty member holds academic rank, in conformity with that unit's written policy. 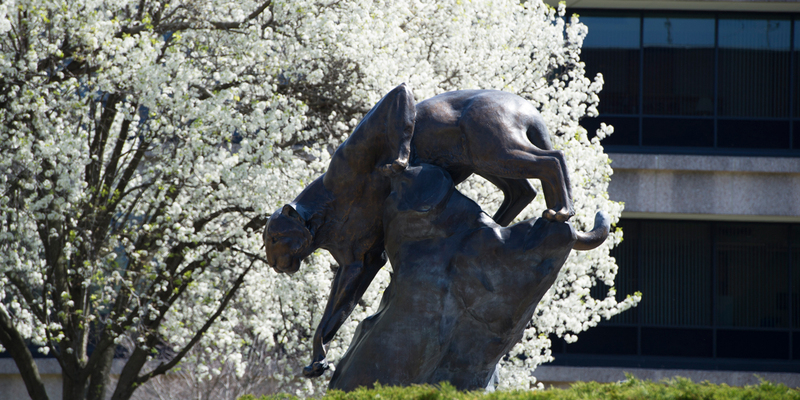 A faculty member at SIUE may not hold different academic ranks in different units. Therefore, for faculty members who hold academic rank in two academic units, the recommendation for promotion must be a joint submission of both units concerned and the promotion recommendation shall be considered to be positive only if both units make positive recommendations. Promotion recommendations must be processed according to the regular procedures of both units. It is incumbent upon the department chairs of both academic units to ensure initiation of the review process. In the event that an academic unit is too small to provide adequate review, the department chair or unit head, in consultation with the dean, shall seek the advice of an appropriate ad hoc committee for review of a specific case. If this is done, the composition of the committee and its recommendations must be reported in the final recommendation to the Provost and Vice Chancellor for Academic Affairs. In the event that a faculty member's tenure was granted in a unit that no longer exists as a tenure granting unit, and which has not been merged with another tenure granting unit, a job description and criteria and procedures for promotion shall be developed for each such position and a performance evaluation shall be prepared in consultation between the faculty member and the academic supervisor. In these cases, the Provost and Vice Chancellor of Academic Affairs shall request the Chairperson of the Welfare Council of the Faculty Senate to form a panel to evaluate the merits for promotion. The Chairperson of the Welfare Council will choose seven (7) persons by lot from the faculty panel. Faculty who consider themselves biased may disqualify themselves. Additional names will be drawn if necessary. The Chairperson of the Welfare Council will send the list of names to the Provost and Vice Chancellor who will select within two (2) working days five (5) persons from the list and notify the Chairperson of the Welfare Council of their identity. The Chairperson of the Welfare Council will send the list of five persons to the candidate for promotion who will select three (3) persons from the list of five within two (2) working days and inform the Chairperson of the Welfare Council of the selection. This whole process should be completed within fifteen (15) working days. This ad hoc committee shall review promotion materials giving the candidate an opportunity to address the committee. Service to the University and community. 5. The unit chairperson (see footnote #3, page 4), the dean of the school, and the Provost, as line officer, shall make written recommendations for each candidate for promotion. At the time a written recommendation is forwarded to the next level, the recommendation shall be made available to the candidate. Evaluations by the faculty in the unit are advisory to the department chair. Evaluations by the school committee are advisory to the dean. 6. In the event of a decision to recommend that promotion not be granted, the faculty member shall be informed of the decision in writing. If the candidate so requests, the candidate shall be advised of the reasons which contributed to that decision and upon request the candidate shall be given a written statement of the reasons.